Online Registration closes tonight at 10pm mdt. Registration will be available on race day. It closes 30m before each race and at 6pm. With only a few tracks on the course, 60+ brave souls jumped on a rough Thunder course. Lines were found and excitement was built. Landen Beckner had to come from behind a bit, but only needed 2 laps to catch Toby, who looked at home on the technical terrain. They two rode together until Beckner was too much and the gap opened. Like many Wednesday Night Riders, Doll came straight from work to the start line. Once he learned the course, his power showed up and he took 3rd. Ingrid Lovitt looks poised for another top ride this season. She maneuvered the course without much issue. Big shout of to Margie, Mara, Kristine, and Katie R for ripping Thunder, they will be forces on Saturday. Lap times for the 1st group in Men's A were just above 5 minutes. - This will be our first time at this venue during the week. This area is county property and lots of people walk there dogs after work. Please be respectful of others. - There will be a small opening to the left of the whoops for folks who don't feel comfortable on them. You can walk your bike. - The course has some technical features, but now is the time to ride and get comfortable before the weekends races. I'll be at the venue from 1pm on today if anyone needs instruction. - The stadium driveway and parking area will be open to traffic, please look before you get onto the finishing stretch. Thanks and enjoy the course. Feel free to ride as many laps as you want from today until Saturdays Event. The Rolling Thunder Women's Race always has the best groups. From masters champions, to mid level pros, we've witnessed some great rides. 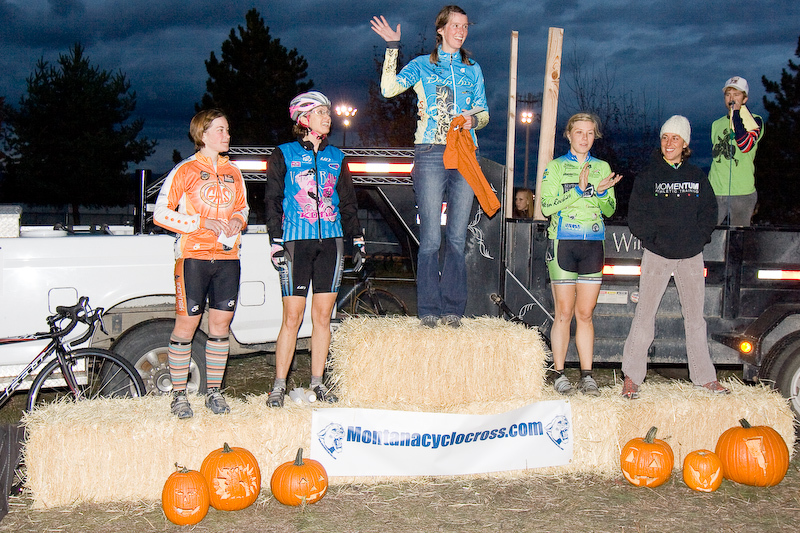 The level of women's cross in Montana has grown exponentially. It started with Lisa Curry putting a focus on cross 5 years ago. 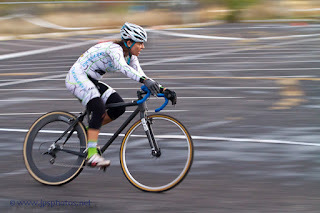 She attended national races and started achieving top 20 results. She lit the fire to Lindsy Campbell who was a top 5 collegiate nationals rider. During the same time Amy Frykman and Patricia Dowd began to show on the regional/national stage. 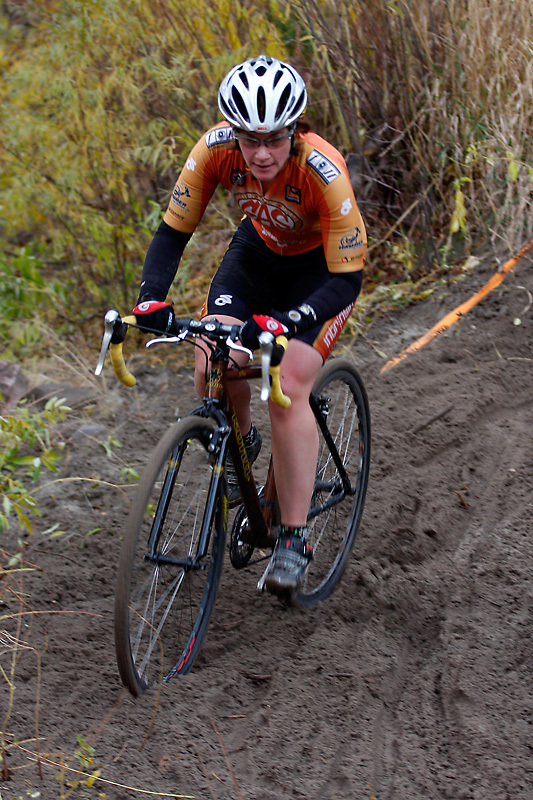 This led to the emergence of defending RT Champ Anna Dingman putting a focus on cyclocross. 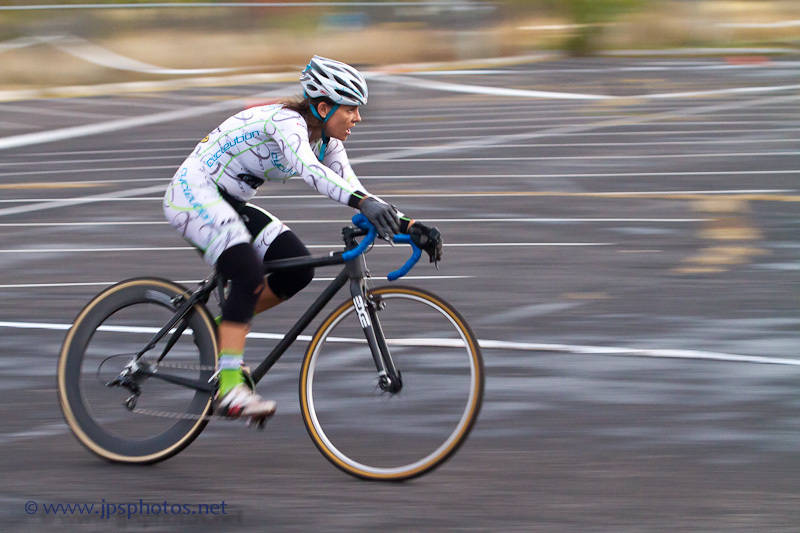 Anna will be fresh off a muddy USGP (biggest series in the US) last weekend. In Missoula we've seen the growth of Ingrid Lovitt. 8th place at Star Crossed this year, her cyclocross focus has changed the game for Missoula ladies. 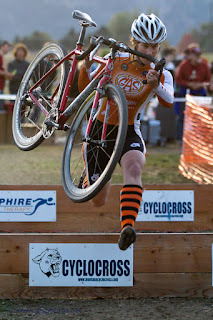 Expect a few more cross ladies next year. There is still a place for the all around Montana Athlete to have fun and get a good workout, but the top end Montana Ladies are some of the finest crossers in the region. I've been reading Geoff Proctor's, Behind the Stare. I just read a section where Geoff has a conversation with Mark Legg (Katie Compton's husband/mechanic). They talk about the state of ladies racing in Europe. 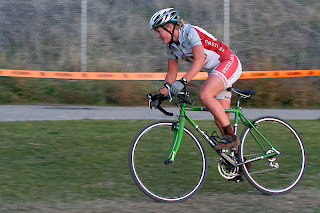 The book goes on to say at that time (2007) the womens racing in the US is more fun. The fans are great at the races, the fields are deep, and the sport is growing. I don't know if that is still the case, and I know we have a long way to go, but you can see it even at Thunder. The women's field is deep and the fans will be out in force. I guess the point of bringing this up is that I think the ladies race at Thunder is a treat for us spectators. One of these gals isn't far from a taking that next level....masters nat champ, worlds team members, UCI podium. So, when your watching the ladies go round and round on Saturday, give them a hollar, they deserve it. 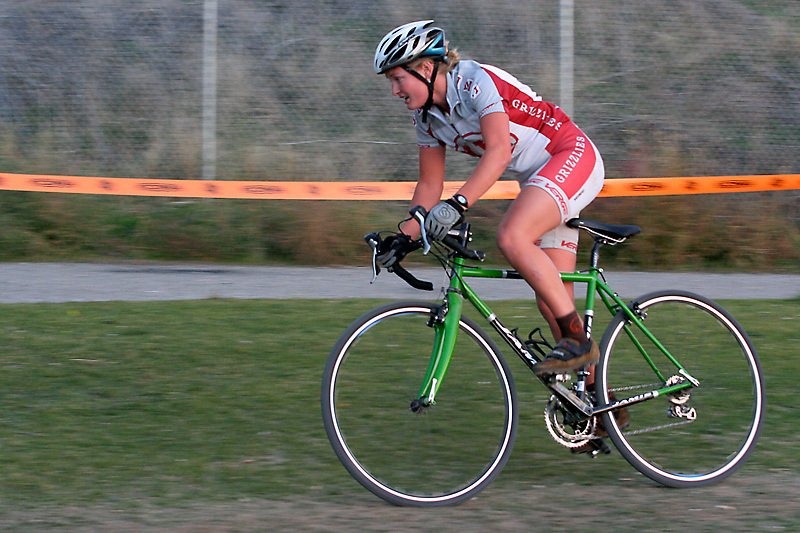 2009 The "Tire Trap" leads to Curry taking her 2nd Win. 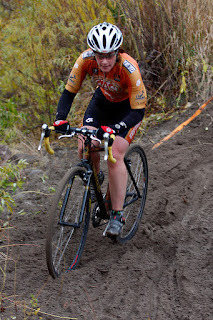 Mery Storb is donating $150 to most aggressive rider in the ladies race. She's matching that with a donation to feeding children in Ghana. Big Sky Brewery - Beer! 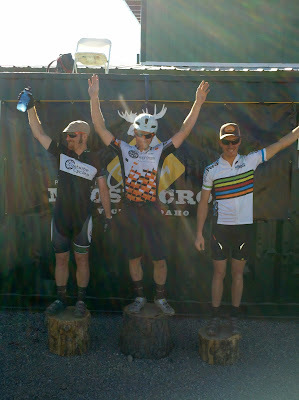 Joel Brown is donating $100 to most aggressive rider in the mens elite race. Sapphire PT donated $500 cash to be spread around the podiums. Of course much more day of. If you'd like to donate, drop me a line. Thanks! Registration link added to the right side column. Online registration closes on Thursday night at 10pm MDT. Day of registration is available. It closes 30 minutes before each race and at 6pm. That means elite men have to register before 6pm on Saturday.